»›Die schöne Müllerin‹, which depicts a love relationship from the initial phase of infatuation to its tragic, unfulfilled end, is one of Romanticism’s most important song cycles. 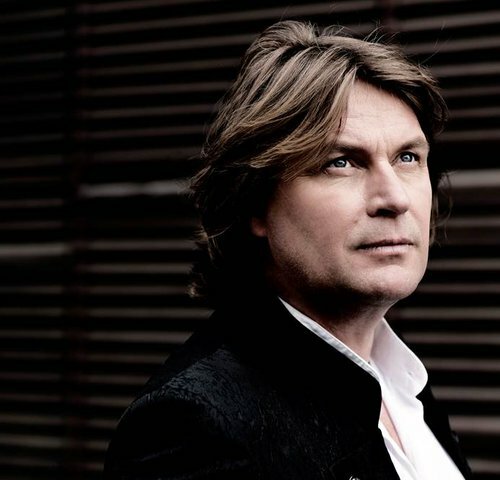 Rather than singing these 20 lieder in the usual arrangement with piano, Klaus Florian Vogt will be performing a new version. Between the old Kaispeicher and the new glass structure is the Plaza, a public viewing platform on the 8th floor of the Elbphilharmonie. Tickets for concerts in the Grand and Recital Halls include a visit to the Plaza two hours before the start of the concert or event; all other visitors require a Plaza ticket. 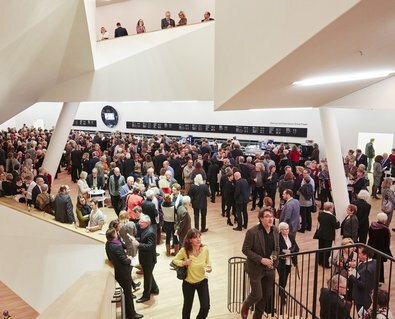 A total of six bars in the Grand Hall and Recital Hall foyers offer concertgoers a varied cuisine before the start of events and in the intervals. Restaurants, cafés, delis and further bars await visitors in the »Störtebeker Elbphilharmonie« and in »The Westin Hamburg« Hotel. 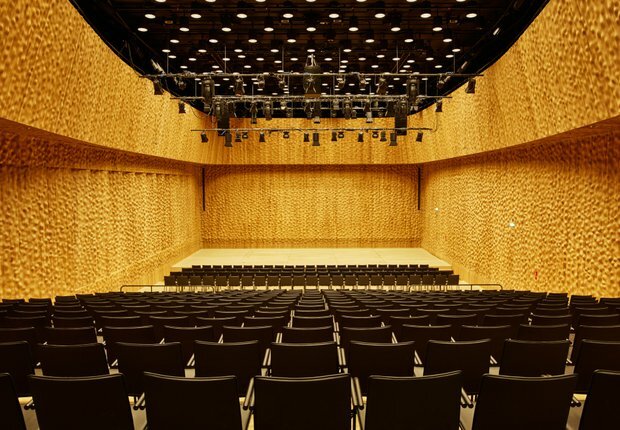 The Recital Hall, designed in contrast to the Grand Hall in the classic »shoebox« style, offers seating for up to 550 people. The Recital Hall is situated on the 10th floor and can be accessed via a stairway or lift. A cloakroom is located in the Recital Hall foyer. Are you curious to find out what kind of view of the stage different seats have? To help select your favourite seat, use your mouse to activate the representative seat views. The Elbphilharmonie can be easily reached by bus, underground, bicycle and ferry. There are sufficient bicycle stands available in front of the Elbphilharmonie. There is limited parking available in the Elbphilharmonie and the HafenCity. Please note that visitors to the Elbphilharmonie should use the entrance marked »Elbphilharmonie«. 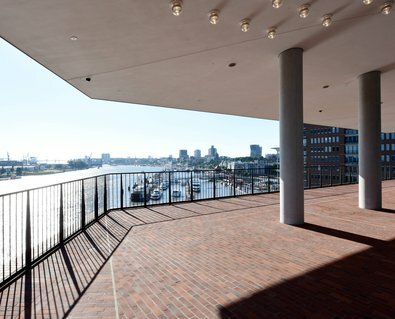 The entrance »Elbphilharmonie Hotel« is reserved for »The Westin Hamburg« hotel guests and the charge is €5.00 per hour. All halls and spaces are accessible for visitors with disabilities. More information at www.elbphilharmonie.de/en/accessibility. The Elbphilharmonie is a special building situated in a special place. Allow for plenty of time for getting to the Elbphilharmonie and the way to the concert area. We suggest first-time Elbphilharmonie visitors arrive at the main entrance 30 minutes before the start of the concert or event. Late seating is not guaranteed and latecomers may not be admitted to the concert hall. Concert tickets for the Grand and Recital Halls authorise a visit to the Plaza from two hours before the start of the concert or event. Visitors to the Kaistudios require a separate Plaza ticket to visit the Plaza. The foyers of the Grand and Recital Halls open their doors 90 minutes before the start of the concert or event. The bars in each foyer open simultaneously. Admission into the halls begins 30 minutes before the start of the concert or event; for events offering pre-concert talks, admission into the halls begins 60 minutes before the start of the concert. Smoking is prohibited throughout the entire premises of the Elbphilharmonie. Photography is permitted at the Elbphilharmonie for private purposes only. Please respect the privacy of other visitors and help ensure an undisturbed concert experience for all guests and artists. Employees and artists may not be photographed. Photography, audio or video recordings of concerts and events are strictly prohibited. Event-related video recordings or photographs for editorial or commercial purposes must be authorised by the Press Office of the Elbphilharmonie.